Budapest Airport welcomed a record 14.9 million passengers in 2018, and handled 146,000 tonnes of cargo. Highlights in 2018 included the transatlantic boom, as the airport’s North American network increased from one to four routes in May. Joining Air Canada Rouge’s established Toronto service, LOT Polish Airlines launched links to New York JFK and Chicago O’Hare, while American Airlines introduced a connection to Philadelphia. Additional to this were another 14 new services, including first-time links to Stavanger, Santander, Paphos, Krakow, Amman and Doncaster Sheffield. Another year of extensive growth is anticipated in 2019, with 11 new routes already announced, as well as the arrival of two new airline partners. Meanwhile, with increasing flight frequencies, Budapest is also experiencing growth on a number of existing successful routes. Another year of extensive growth is anticipated in 2019, with 11 new routes already announced, as well as the arrival of two new airline partners. 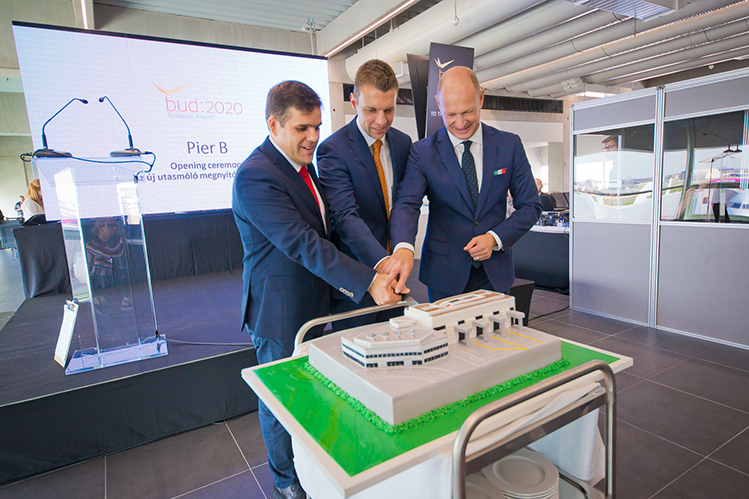 “Our infrastructure investments go hand-in-hand with the growth of both passenger traffic and cargo volumes,” says Jost Lammers, CEO Budapest Airport. 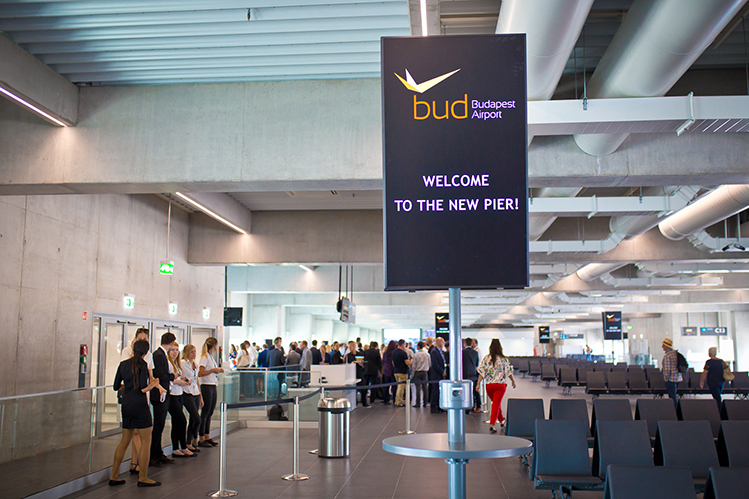 Budapest Airport has already launched a programme of internal improvements at both Terminals 2A and 2B in the last two years to increase passenger comfort. In the first half of this year, two more passenger security lanes will be installed, while washrooms, lounges and passenger waiting areas will be refurbished, enlarged or their capacity increased. Indeed, over €450 million has been invested into developing and modernising the airport and its infrastructure in the last 12 years. 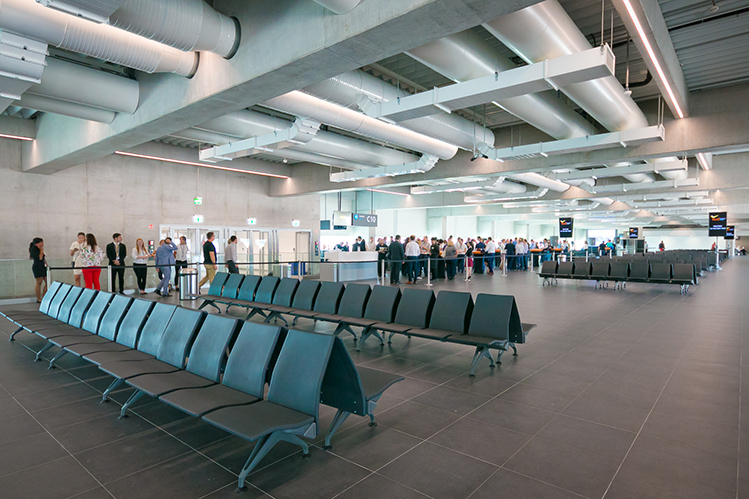 The flagship project was the construction of a new central terminal building called SkyCourt, connecting Terminal 2A and 2B, with state-of-the-art passenger security control and baggage systems.